For more information about background checks contact us at 281-440-0800. A background investigation is the accumulation of historical data about an individual or entity. The information obtained by our investigation team may be positive, negative or a combination of both. Gradoni & Associates has conducted background checks and informational services for individuals and corporations in the Houston area for nearly 30 years and have become widely respected for the level of detail provided in our reports. To learn more about how we can help you with your background check needs, or to schedule a free consultation, call our Houston office at 281-440-0800. One may ask, “Who would be interested in obtaining this type of information?” From fiances to CEOs of major corporations, there are a number of personal and business related justifications for a thorough background check on an individual. 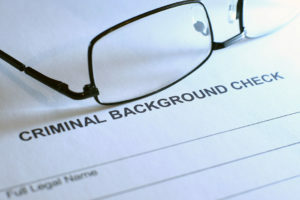 A company may request a background check when considering a new hire. A company may need to obtain information on a competitor for business purposes. A businessman wants to obtain information on a potential business partner. A parent may be interested in finding out more about who their child is dating, and if they’re dangerous or not. An individual in a new relationship who wants to know about their new partner. An attorney may want to obtain information regarding a witness or adversarial party. A divorced parent may want to know about the person in their ex’s life that is spending time with their children. If you’re in the Houston area, and are considering having a background investigation conducted on an individual, you may wonder what types of information can be obtained. Our team of investigators can uncover important information about people that you’re better off knowing than not. Information that will be included in your report from us may include arrests, convictions, parole status, marriages, divorces, lawsuits, liens, judgments, bankruptcies, and how many times the police have been to their house, just to mention a few subject areas. For interests that involve seeking information on a company, we can learn about their assets, sales figures, employees, business relationships, lawsuit history, criminal history of executives, corporate filings, businesses under the company flag, and SEC violations. You may also ask, what are the sources of this information? A majority of the information we obtain during our investigations is derived from local, regional and national databases, along with direct contacts with counties of jurisdiction where the individuals have lived or the companies do business there. Police agencies provide a wealth of information, including calls for service at a residence, and in many circumstances, obtaining a copy of the entire offense report related to a criminal charge. Licensed Private Investigative companies have access to databases that provide information that are not open to the public. Unless you conduct interviews to obtain information, the individual or entity being investigated never knows about your collection of information. Finally, you may ask yourself, is the information provided me accurate? A credible investigation company has the ability to determine if the records retrieved are 100% associated with the individual or entity being researched. Conducting a thorough and accurate background investigation is not a simple matter. Searches must be conducted in every jurisdiction the individual has resided in or the company has done business. As far as females are concerned, it is necessary to identify maiden and married names in order that the searches cover all the possibilities. At the end of the day, it’s much better to know the facts than wonder what they are.